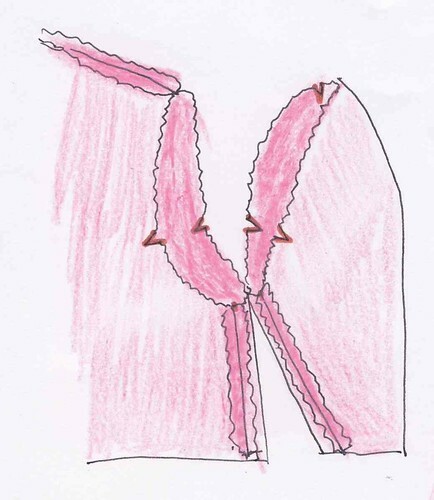 Once you have drafted your own sleeve pattern, you need to sew it and set it in. There are generally two ways of doing it: either you first sew the sleeve underarm and then you insert it into the armhole (the method I present here and that I applied for almost all my tops), or you first stitch the sleeve flat against the armhole and then you join the bodice side seams with the sleeve underarm seams (method used for shirts). The kimono and raglan sleeves are not covered here. 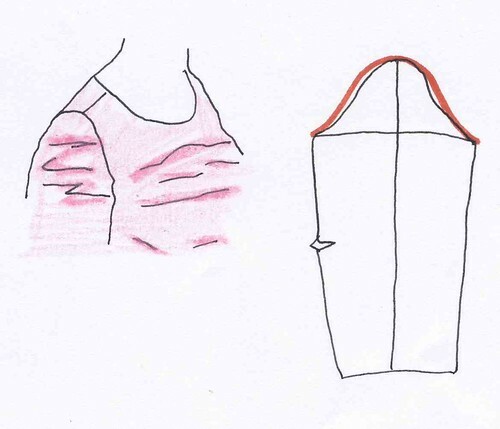 Stitch the sleeve underarm, also the front and the back bodice by a straight seam on the shoulders and sides. Try your sleeve and adjust the width if necessary. 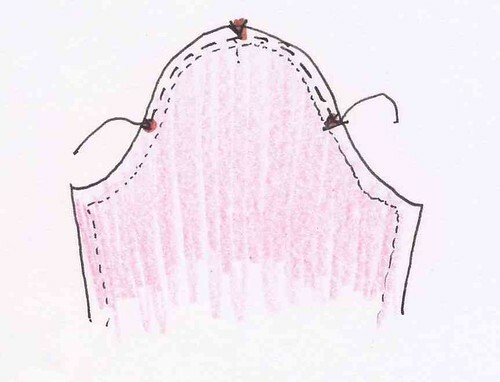 Also make sure that your armhole and sleeve include simple front and double back notches. Press seams. You are now facing a rather difficult situation: matching a large sleeve cap with a smaller armhole. But if it was easy, would I write anything? You need therefore to absorb the fullness (the excess fabric on the sleeve cap) in the armhole. 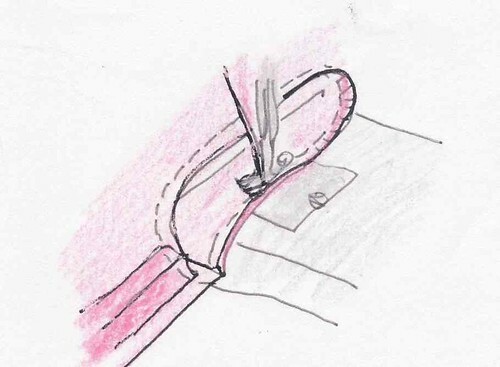 Try not to force but rather follow the technique: apply 1 to 2 mm hand stitches on the sleeve head between the two notches, the thread should strengthen but not frown the edge. Turn the bodice wrong side out and put your sleeve right side out inside the bodice, so the right sides are facing. Make sure to align the front sleeve with the front bodice (simple notches). 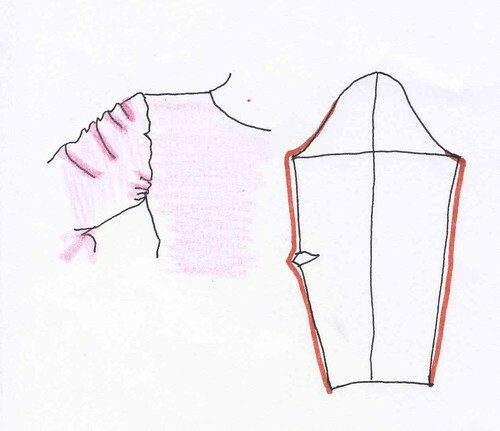 Pin the sleeve into the armhole, align the underarm sleeve seam with the bodice side seam and then the shoulder notches with the shoulder bodice seam. It’s now time to tighten the thread previously applied to the sleeve head and to suit the sleeve into the armhole. Try to scatter the fabric evenly so it does not frown. 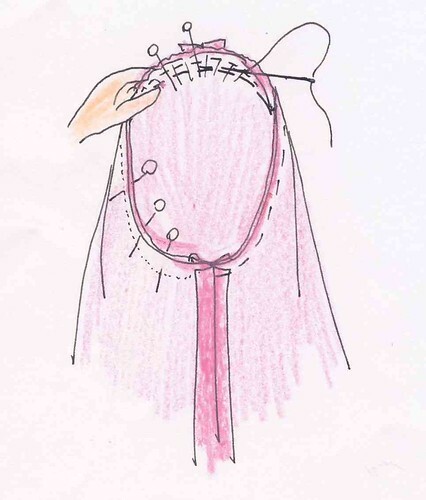 Hand stitch the sleeves and put on the garment to check there are no wrinkles on the sleeves. 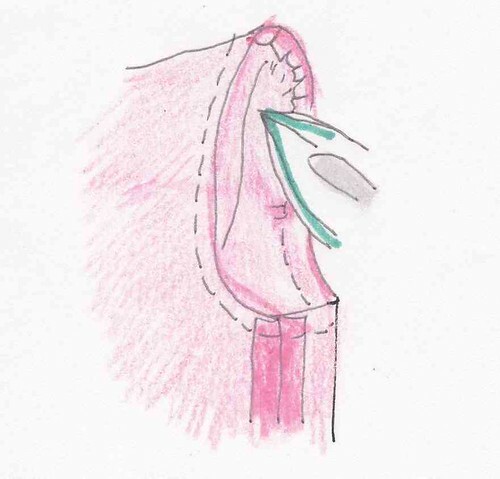 As the seam allowances are neither ironed nor clipped, you might feel a little stretching in the armpits, it is not necessary to enlarge the armhole, just open the seams and try again. If your sleeve still streches, you need to enlarge it. 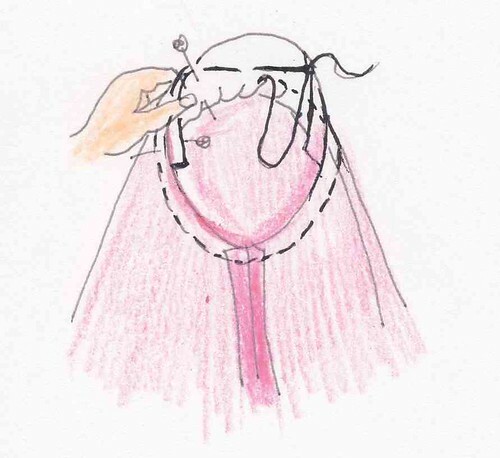 If “waves” appear in both sleeve cap and bodice than you need to enlarge the sleeve cap. If you see any “waves” in the sleeve cap, it means that it is too big. Unpick the sleeve head and slide it more above the shoulder level. If waves appear slantwise from the bottom, the sleeve cap is too small, you should enlarge it through the seam allowance. If “waves” appear slantwise back to the front, turn the sleeve slightly forward. 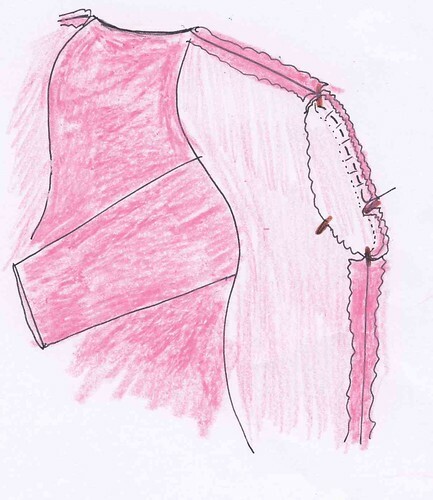 Stitch the sleeve over the armhole, starting from the side seam. 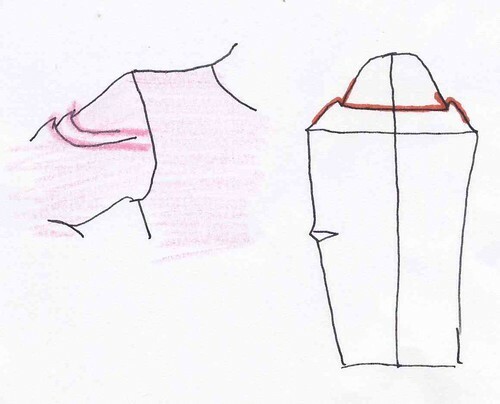 Hold the fabric with both hands on one side and the other of the seam to scatter gathers evenly. Trim the seam allowance and iron it on the side of the sleeve seam. 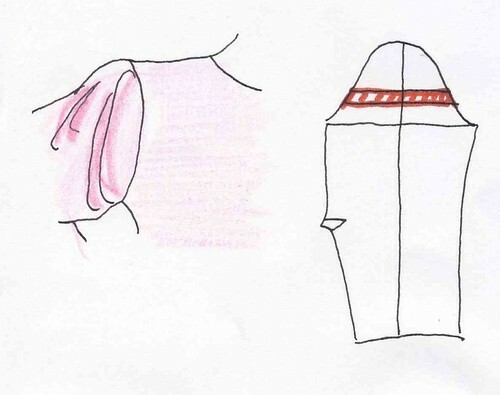 To maintain the armhole, you can also stick an interlining tape on the seam line of the armhole. So you’ve managed to set in a sleeve. Admire your work and be prepared for the other one. Did you find this post useful? What is your experience with the sleeves? This entry was posted in Tutorials and tagged sewing tutorial, sleeve. I have run into several of the difficulties that you describe and have not always been able to correct them… now such failures will not result in wasted fabric, thanks to your tutorial! Thank You for this tutorial!!! I have not tried sleeves in twenty years. It did not go well back then. I tried your method and it was Easy the first time!!! I am working with tweed too. I used a thick and slick thread intended for hand quilting. My confidence is through the roof! I’m so glad I found your blog, though a bit late. Wonderful instructions. Thank you.